Ever imagined scenes of La La Land and Breaking Bad in your breakfast? Most people would have said no and wouldn’t believe the fact that Hazel Zakariya from Auckland, New Zealand who works in the field of research and analysis would create these masterpieces in her free time. 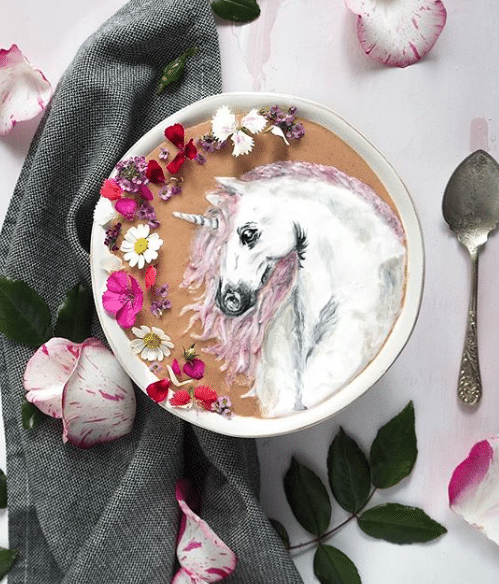 Her creations are not the standard decorations that we are used to seeing on superfoods, but masterpieces that she has created on smoothies. 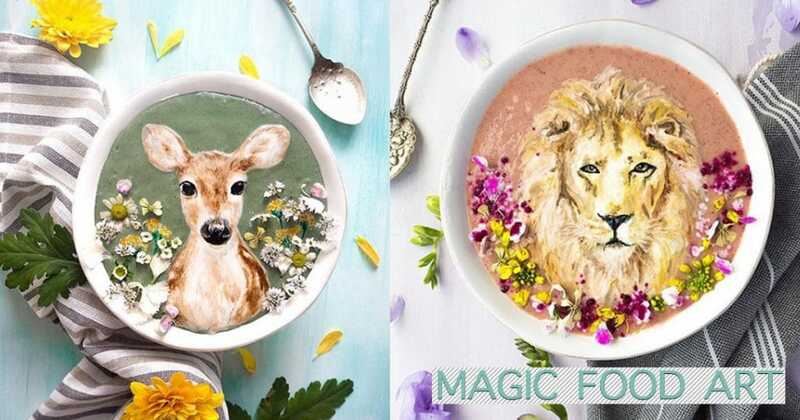 Hazel Zakariya has mastered the art of a smoothie artist by creating unicorns, cultural icons and safari animals with all natural ingredients. 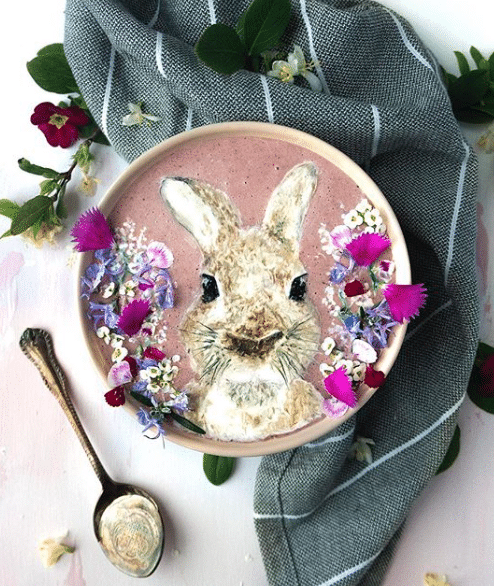 Using healthy and vegan ingredients she blends the base smoothie and then adds ingredients like carob syrup, coconut cream and spirulina to create some beautiful designs. All these designs are created by using just skewers and table knife as her designing tools. According to Hazel, it all started with a happy accident. 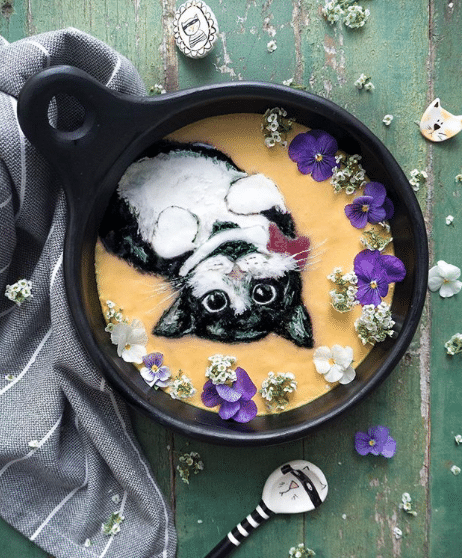 She was trying to garnish a soup with coconut cream swirls, but it was not according to her idea and so she added some pesto and created a tree. Zakariya has after that accident created some masterpieces that look good, taste delicious and is actually good for you too. 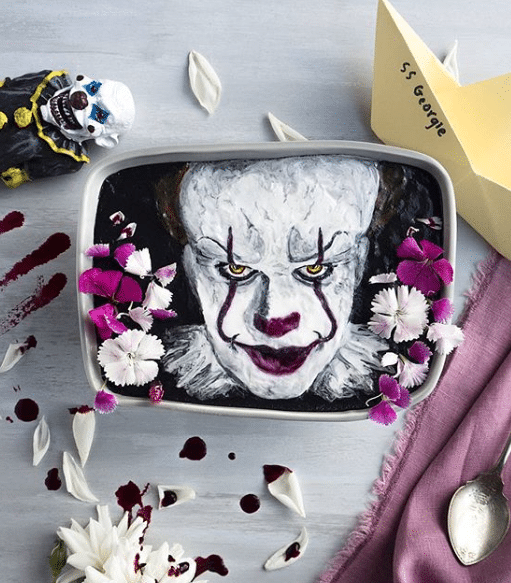 If you look through her Instagram account where she has more than 20,000 followers, you will be surprised, that she has had no formal training in designing or in molecular gastronomy. She has good base in science though and probably that might have surely helped her. 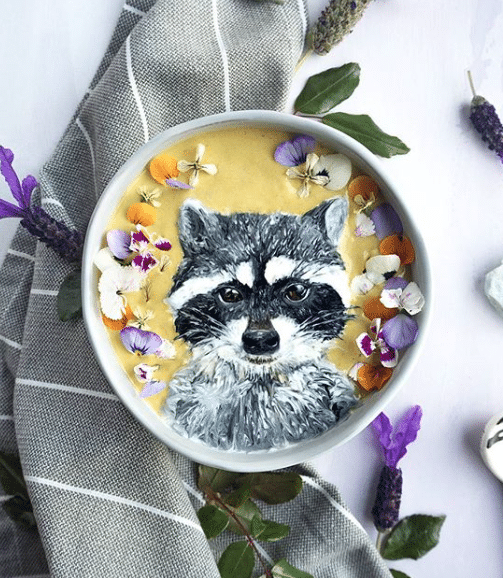 You would wonder how such an unrelated experience could lead to such fantastic achievements, but this self- taught smoothie artist explains her motivation for this exceptional talent has been purely personal. She has developed this interest of hers as a passion to learn new things rather than for gaining any career growth. Zakariya loves to get involved in various creative projects in her spare time. She spends time on practice, expressing her thoughts in her designs and constantly challenging her skills. This couldn’t have been the best time for her to discover this amazing talent in the age of super foods. She has already refined her signature style and the color palette and elements that can take many years to master. 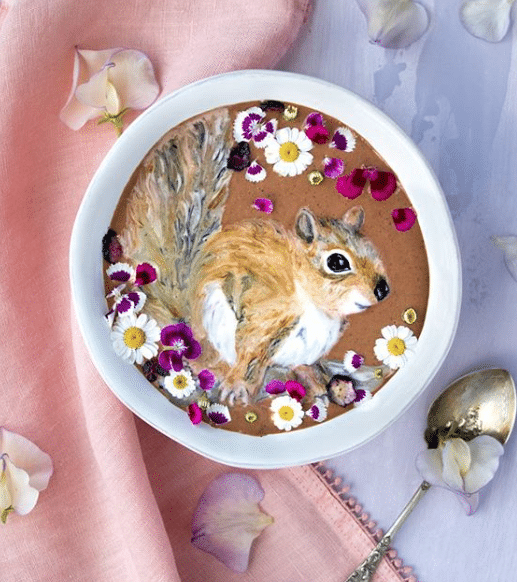 Hazel Zakariya experiments with various organic and colorful ingredients and one of her favorite being the Spirulina. It adds a beautiful shade of green to the concoction. She even uses the pink pitaya powder for the magenta hues. Hazel also uses a lot of blue matcha charcoal, turmeric, and butterfly pea powder regularly. She blends all these ingredients just with table knives and wooden skewer sticks. Simple ingredients to create some highly sophisticated designs on the smoothies. 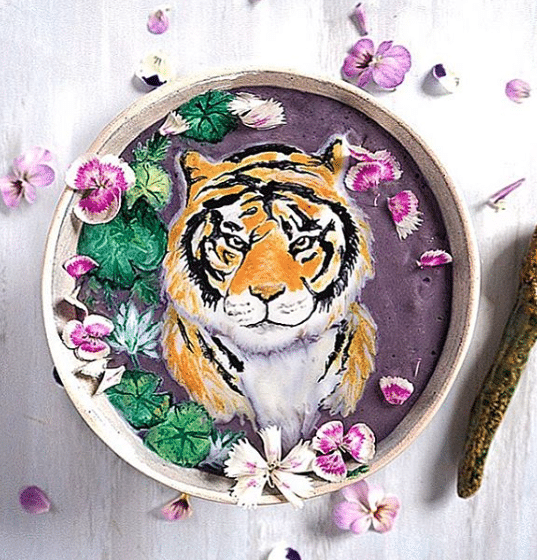 Zakariya has always being asked this question “why create something like this with so much effort only to eat it?” Her response to this question is “Life is transitory and we should savor every moment” Very true; eating well has never been so beautiful. 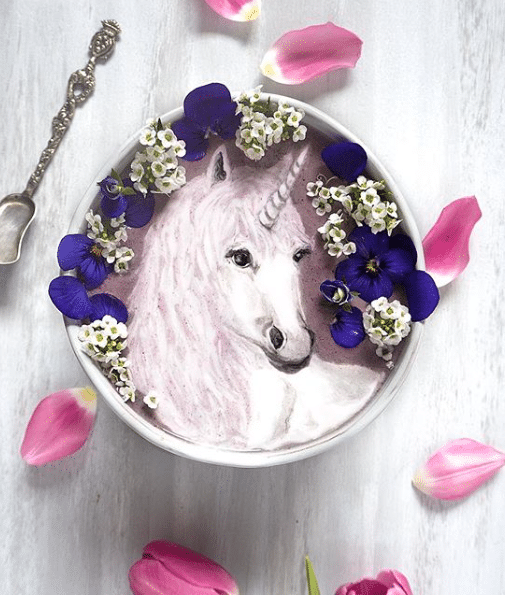 A talented smoothie artist with natural skills and who knows how to beautify the super foods.